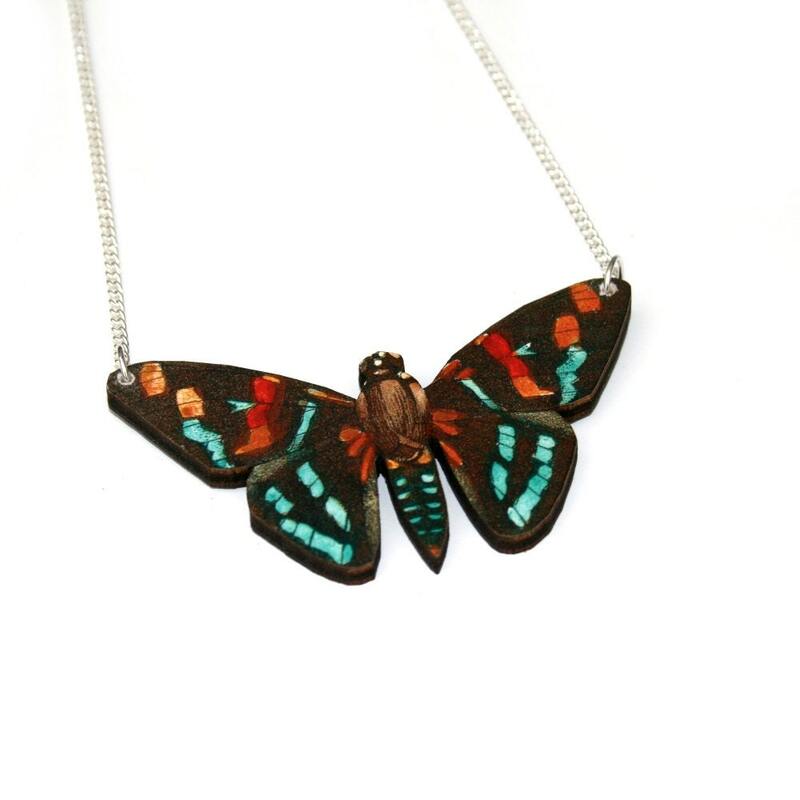 • All moth necklaces come with an 18” (45cm) silver plated split chain. 24” (60cm) silver plated split chains are also available. Please let me know if you would prefer this option. • This necklace is very lightweight to wear and would suit any nature loving individual. • The pendant is made from paper and wood and therefore will not withstand being taken in the shower or swimming pool.